Perform 3-5 rounds of the following exercises, holding each exercise for 30 seconds to 1 minute. Rest 30 seconds to 1 minute between rounds if needed. Each move should be held as long as possible while maintaining good form. Really focus on activating the correct muscles as you hold. 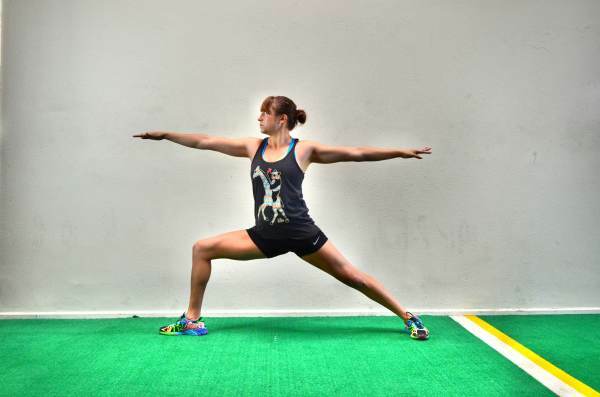 Warrior II Lunge Hold – Set up in a nice wide stance with one foot forward and one foot backward. Turn the back toe out so your feet are perpendicular. Sink down into a lunge, keeping the back leg straight. Try to get your front knee bent to 90 degrees and your quad parallel to the ground. The lower you sink in the lunge, the harder the move will be. Do not let your front knee cave inward. Squeeze the glute and keep the knee in line with your hip and your ankle. While in the low lunge, open your arms out at shoulder height. Reach one forward over the front leg and the other back over the back leg. Keep the chest open and do not lean forward. Keep your weight centered in the lunge. Scapular Hold – Stand with your back to the wall. Step a couple of inches away and bend your arms to 90 degrees. Keep your elbows in by your sides and drive them back toward the wall. Lean onto your elbows on the wall. Do not let your upper arms or back touch the wall. Relax your head back. Pinch your shoulder blades down and back while keeping your core tight as you lean into the wall. You should feel this move low between your shoulder blades. To advance the move, move your feet a bit further from the wall. 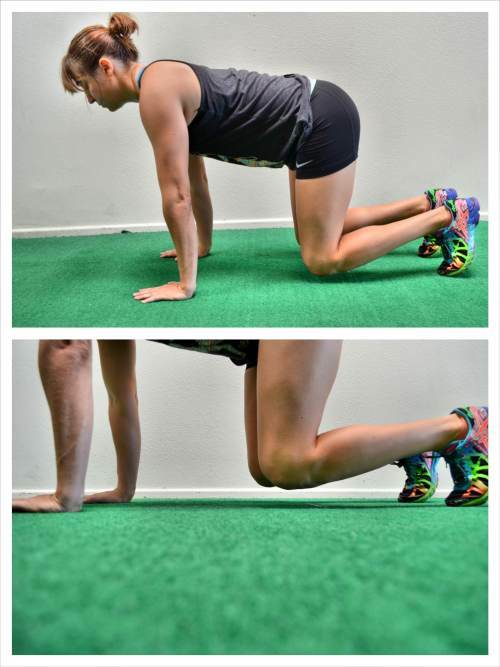 Bull Dog Hold – Set up on your hands and knees on the ground. Your hands should be under your shoulders and your knees should be under your hips. Flex your feet and tuck your toes under. Lift up onto your toes and your hands, keeping your knees under your hips and hands under your shoulders. Hold with your knees just an inch or two off the ground. 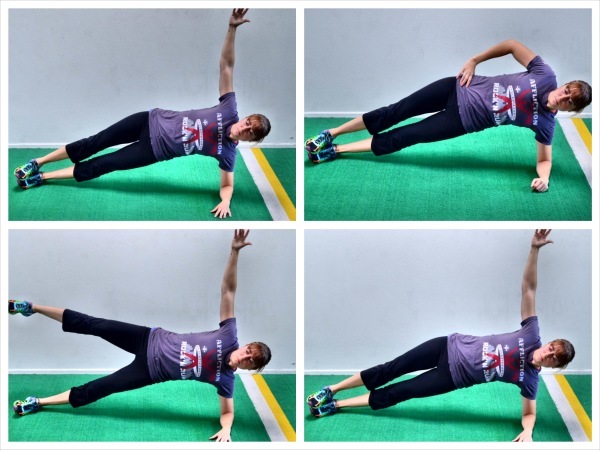 Side Plank Holds – Set up on your side. Prop yourself up with your forearm right below your shoulder. Beginners will do this move from their forearm and knees or knee while more advanced exercises may do this from their forearm or hand and toes. Whichever variation is right for you, make sure to lift your bottom hip up off the ground as high as possible while keeping your body in a nice straight line. Squeeze your belly button in toward your spine and keep your glutes tight. Do not let your chest rotate forward toward the ground or your top hand touch the ground. Keep your top hand on your hip or reach it up toward the ceiling. This move can be advanced further if you lift your top leg up off your bottom leg.